So long coming but entirely worth it. 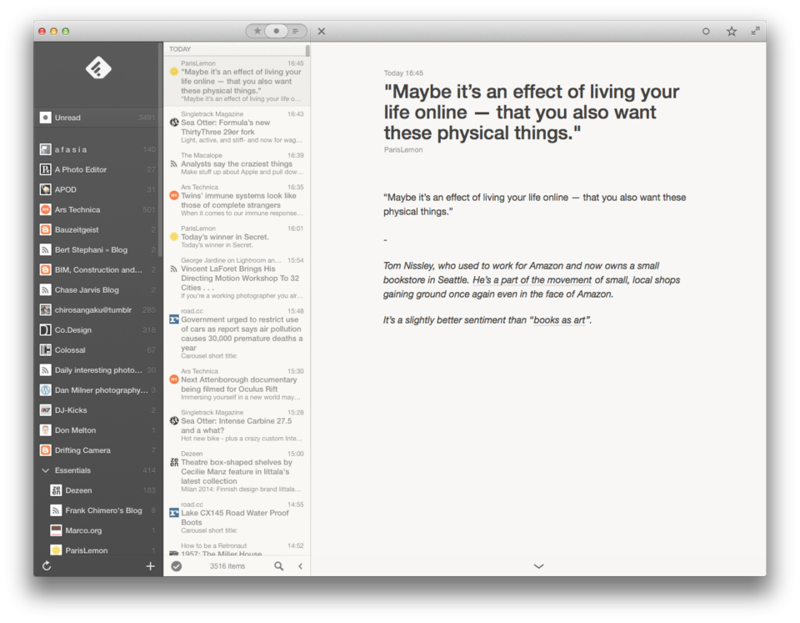 I spend far less time on Twitter these days and more time in Reeder on iPhone or iPad reading stuff. So it’s nice to have the option to read it all on the Mac again and have it sync to the other devices. I can’t stand any of the various web interfaces.